In 2017, 77 houses were sold through our MLS system in the Riverbend neighbourhood of London Ontario, the median days these took to sell were 15 and sold for an average 98.9% of the asking price. 50 condos were sold as well, selling for close to asking price and taking about 25 days to sell. I have prepared an analysis of these sales and you can download all the sales and stats here. This is becoming a very sought after neighbourhood in the south west part of London Ontario, new homes are being built on a regular basis, there are very few cookie cutter homes and worth a drive to have a look. Take Oxford Street West to Kains Road and see this neigbourhood with street names such as: Shore Road, Kirpatrick Way, Riverbend Road, Tigerlily Road, Jack Nash Drive and the beautiful gated Riverbend Golf Community. 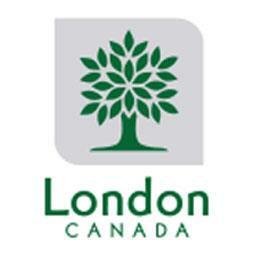 You are just 11 minutes or less to downtown London, great shopping nearby and great nature trails, bike paths, golfing , or just not doing anything, you will enjoy the quiet. With 5 golf courses within 4 km and for nature lovers, the walking trail along the Thames River is magnificent & there is also Warbler Woods Conservation area and Komoka Provincial Park. 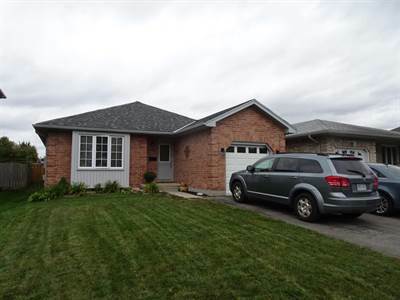 Great family neighbourhood, this 3 bedroom house at 22 Millridge Ct in London Ontario is value priced and a great move up home for a young family, it was for the present family! • 2 bathrooms , 3 bedrooms, 2 storey – FOR SALE CAD299,922 . Value Galore! 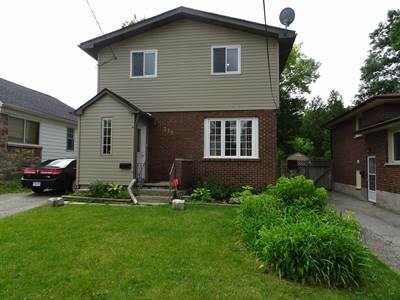 What a nice 2 storey home in a quiet family neighbourhood. The kitchen was upgraded in 2016 with cabinets and a counter top. A very large bright living room with a walkout to a large 3 season sun room. A large fenced backyard with a garden shed and raised garden boxes. Upstairs are 3 good sized bedrooms and in the lower, a beautiful family room with a gas fireplace. Lots of storage and furnace and air are 2009. Parking for 4 in the driveway. 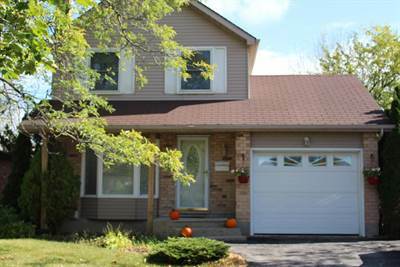 Close to schools, shopping, trails and very easy access to Veterans Memorial Parkway. Book your appointment today to come and see this value packed home. 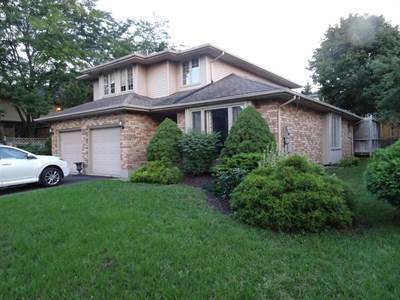 Muskoka in Your Back Yard may not even describe fully the beauty and the work that the owners have created , come and have a look and add your creative touches and enjoy a combined city and country living at 88 Cantley Crescent in London Ontario. 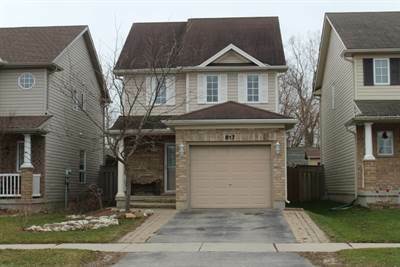 • 4-level split “Back Split” , much larger than it looks- FOR SALE $369,988 . Why Buy a Cottage? 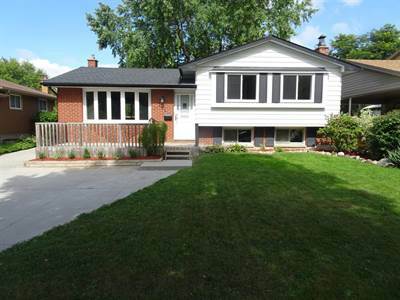 Where do you start to describe the features of this immaculate back split on a 240′ deep lot? I can talk about the granite counter tops and custom cabinets in the kitchen, the stainless appliances, gas stove, window shades, the large family room, a gas fireplace & oodles of storage. Hard wood flooring, roof 2016, windows and doors 2014 and furnace and air about 11 years ago. The 21 1/2 foot family room with a gas fireplace with lots of light is a nice treat in those cold nights. However, the back yard is Muskoka within feet of your side door! From the covered BBQ cooking area, the huge 16′ x 32′ above ground pool that is 4 ‘ deep, , a beautiful deck , one 30′ x 16’ covered and another that is 20 x 16! Wooden walkways, outdoor bar and mood lighting. A bunky or mother in law quarters has hydro to it , a fish pond and thousands of dollars in perennials, grass to play on and even a garden patch! If you love the outdoors, privacy and comfort, this home will appeal to you. Note: This home is much larger than it looks, you will be quite surprised when you step inside and wait until you walk out back. Extra wide driveway, parking for 4 cars and a beautiful landscaped grounds. 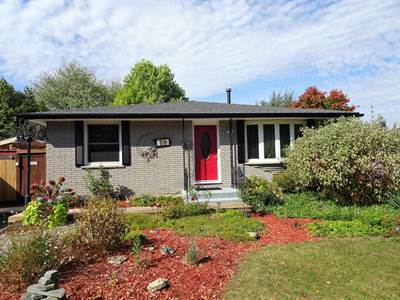 We invite everyone to visit our open house at 817 Fieldgate Circle London Ontario on Sunday the 9th of Jul 2017, between 2:00 PM and 4 PM.